Elstar is a cross between Golden Delicious and Ingrid Marie. 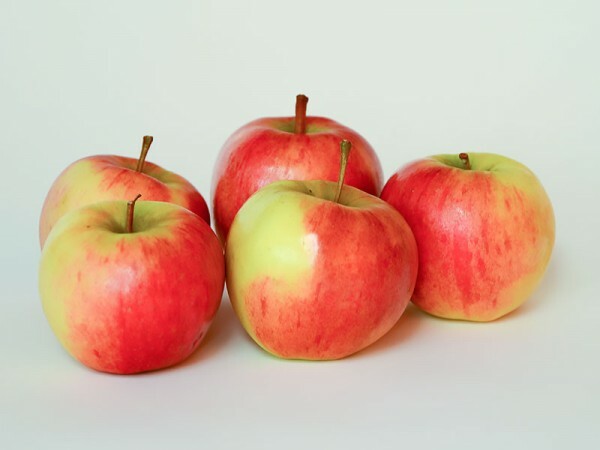 The Elstar is a very popular apple in the Netherlands. Elstar has a striped bright red blush on a yellow-green background. 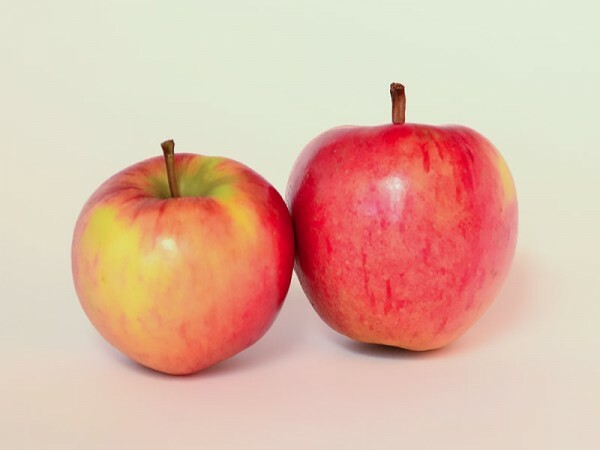 This apple is quite wide and flat and of moderate size. The flesh is creamy white, relatively firm and juicy. 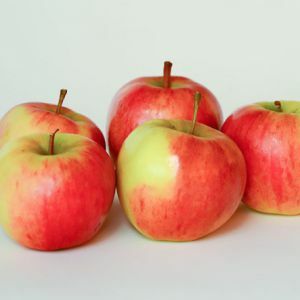 Elstar is an apple with a mild flavour and sweet-sour taste. Elstar is best used as an apple. But the Elstar is also suitable for processing into juice or for in the apple pie. Despite his difficulties in cultivation Elstar is a top of the Dutch organic fruit cultivation. This is due to its excellent taste.Available from September to June.